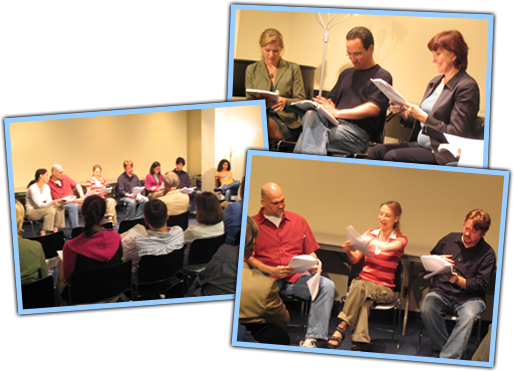 Foolish Wednesdays, the developmental wing of the Foolish Theatre Company, is a monthly gathering of actors, playwrights and directors who share a love of theatrical comedy. At each session, excerpts of works-in-progress are read and critiqued in a supportive atmosphere, and then we go out drinking. Some participants are relative newcomers, while many have been involved with plays on Broadway, off-Broadway, and at regional theaters across the country. Foolish Wednesdays is currently on hiatus, but we plan to resume soon. Well, fairly soon. Pretty fairly soon. Watch this space (but not too closely).